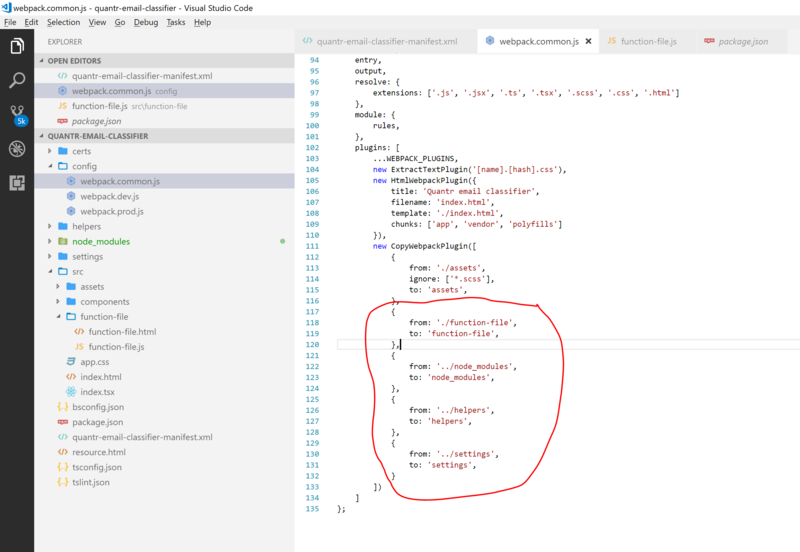 Microsoft outlook addins example is wrong if you use reactjs with webpack. Go to webpack.dev.js file, add the things in the below screen. After you run “npm start”, manually browse to “https://localhost:3000/function-file/function-file.html” and check all files referred by it are loaded successfully. Then the “Gist the gist” button will work.